Northern California Real Estate and Construction Council’s annual Bike to Hope capitalizes on the plethora of commercial real estate types who are avid bicyclists to raise money for life-threatening diseases. Biking is called ‘the new golf’ by many, including the CRE pros who ride in Bike to Hope. SAN FRANCISCO—While plenty of organizations hold golf tournaments, one fundraiser stands out for its outside-the-course thinking and capitalizes on the plethora of commercial real estate types who are avid bicyclists. 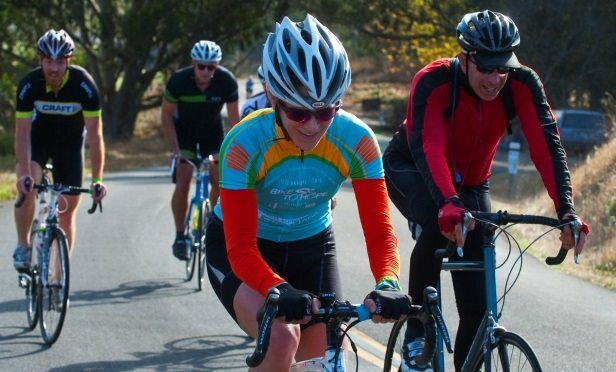 This event, Northern California Real Estate and Construction Council’s seventh annual Bike to Hope fundraiser, will benefit City of Hope, a nationally recognized research and treatment center for cancer, diabetes and other life-threatening diseases.